Ex-GWR 0-6-0PT, LT No. 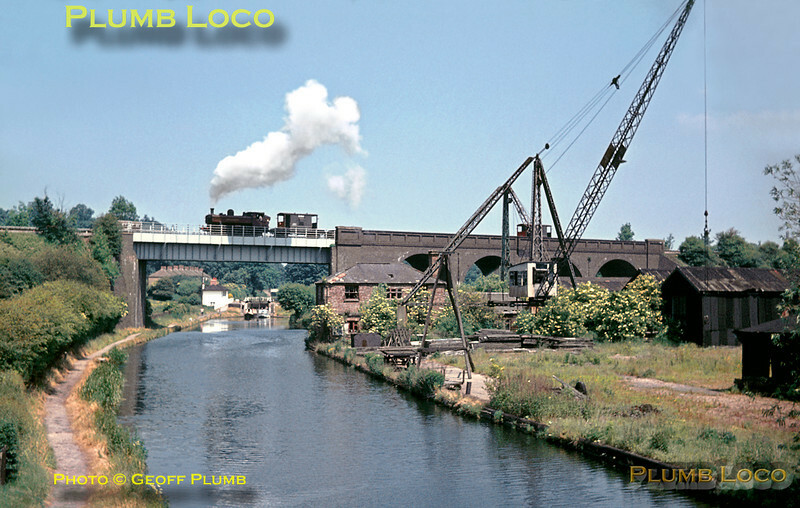 L89, has arrived at Watford with the spoil train from Neasden, it has run round and taken water and is now on its way back to the tip at Croxley. It is crossing the Grand Union canal just outside Watford station - a classic photographic location. The old canal wharf has fallen into disuse and disrepair, this was later swept away and a new leisure marina built in its place. June 1967. Slide No. 2808.